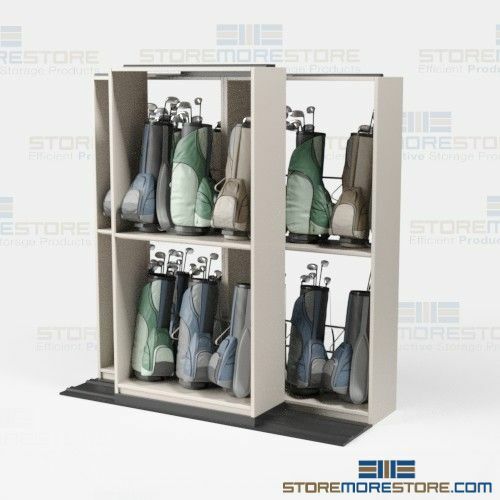 The best way to use Sliding File Shelves, Mobile Lateral Cabinets, and Rolling Storage Racks is to keep infrequently used items in the back units and items that you need access to daily or multiple times a day in the front. For example, old archival records and office decorations can be kept in the back units, while active files are kept in the front. 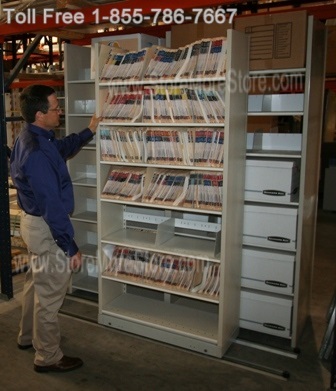 This not only saves space, but it also saves time. 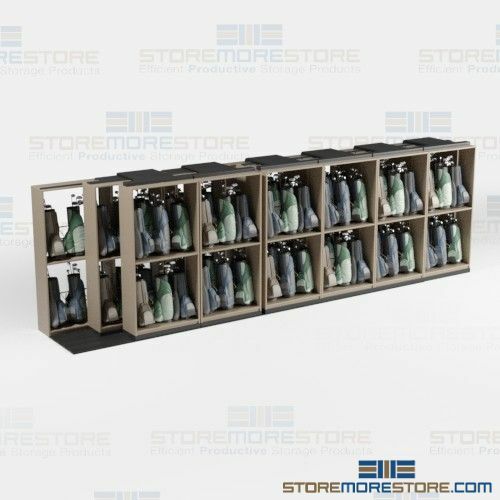 Employees no longer have to search through multiple areas for active files because in the Sliding File Shelves, Mobile Lateral Cabinets, and Rolling Storage Racks everything is organized and easily accessible. 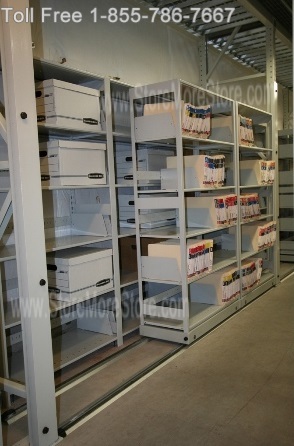 You can find our Sliding File Shelves, Mobile Lateral Cabinets, and Rolling Storage Racks online! And if you can’t find what you are looking for, need something customized, or just have a general question, please give us a call at 1-855-786-7667 and we will happily assist you!